SkyPlanner Blog - Salesforce news and cloud computing updates. 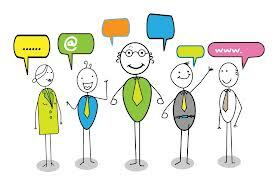 : Why Create a Customer Community? Why Create a Customer Community? Your Miami Salesforce consulting company learned that this summer Salesforce is releasing its Salesforce Communities, powered by Salesforce Chatter. The goal for this seamless platform is to make social and mobile part of every community so that companies can hear from their customers at all times. Salesforce Communities looks to harness the natural power of communities to grow your business. Customers can explore articles plus FAQs and ask more questions of his own. In turn, companies can answer of ask their own contacts for answers, all on the same platform. It's truly a seamless platform to build great relationships. So why would companies like SkyPlanner Partners be interested in Salesforce Communities? For one, our Miami Salesforce consultants can save time. By giving SkyPlanner customers access to our knowledge and other community members' knowledge, as well as partners know-how, then everyone has more access to resources and a much faster customer service. Saving money is another great benefit to working within Salesforce Communities. Since everyone in the community is interacting with each other and getting answers, they're not contacting a call center and speaking to agents. The less customer service support needed, the less money spent. All this interaction leads to better ideas and solutions which leads to better products and services. Which of course, turns into more sales. Better products also allow for better relationships and strengthens loyalty. To summarize, when you're part of the Salesforce Communities, you're able to understand your customers better as well as their needs. This makes your company better at providing solutions and even anticipating your customers' next purchases. How Do You Get Your Team to Be Better Sales Reps? It's Not Business, It's Personal. Are You Part of the Salesforce Community?